Best Whisky To Buy If You Like Peaty Whiskies? 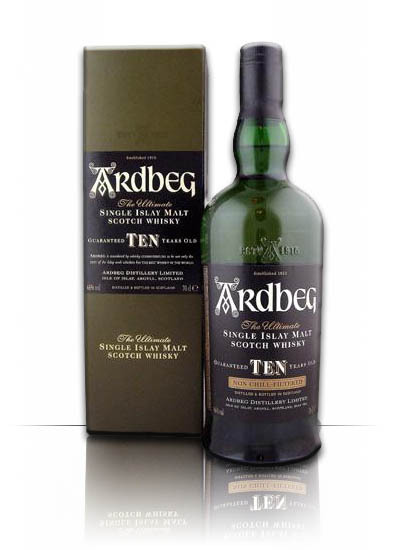 One question that often pops it’s head over the horizon is “What is the best peaty whisky?”, and if you know anything at all about Single Malt Scotch Whisky one part of the world will always come to mind. Whiskies from Islay (an island in Scotland) are considered to be amongst the most peaty whisky in the world due to the island geological structure. Islay is very largely composed of peat. The water on Islay is brown, even the water in the burns is brown, and winter gales drive salt spray far inland, and this saturates the peat, which is dried again by the briny, seaweedy breeze. All these characteristics go into the whiskies of Islay to differing extents.